Here's three grills from the Sims 3 that come with the original Sims 3 pricing and cringe worthy, hot meat catalog descriptions! I started these awhile ago with the intentions of converting all of the grills but lost interest and just finished up my favorites in order to share them instead. But if you can't get enough grills, several others have already been converted by the community. Head over to TS3 to TS2 Conversion Database under appliances and you can grab those as well. Oh, I almost forgot. All of these come with the close lid interaction. Which just means that when you're done barbequing you'll have the option to close the lid. The resources and instructions are HERE if you have any custom grills you want to add the close lid option to. BBQ "Close Lid" by anak_ponti - Adds the close lid interaction to Maxis grills. Global Mod: Grill Inside by me - Allows you to use grills indoors without starting a fire. SimPE, AGS, s3pe, s3oc, Gimp 2.8, Fraps, Milkshape, EA for the meshes and textures and MTS for hosting. 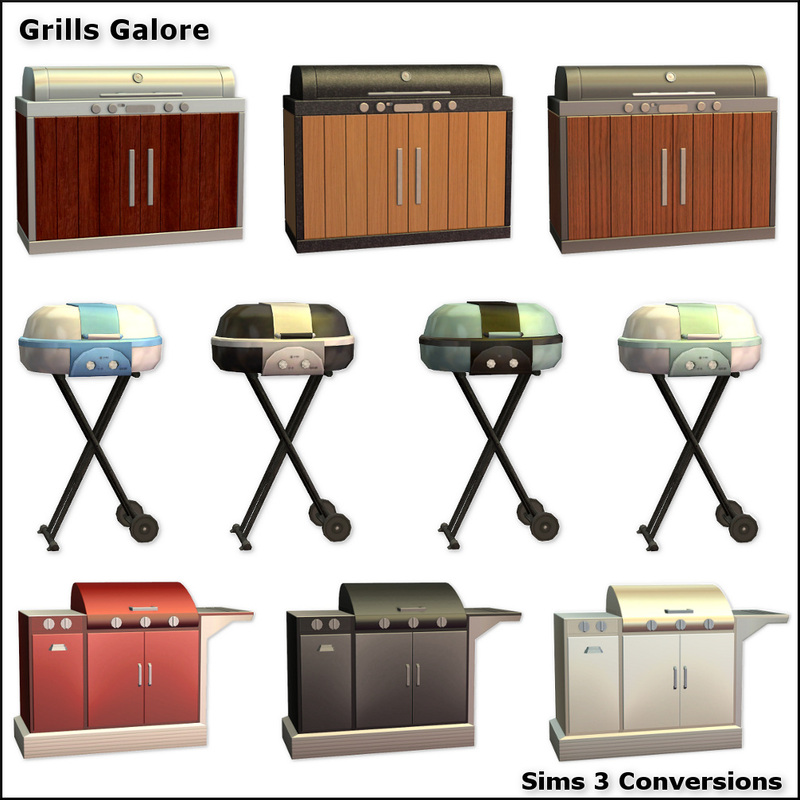 Thanks go to anak_ponti for the extracted resources they used to update all of the Maxis grills as well.